11) Throw the grey switch on occasion. Morally ambiguous choices can often be fun and interesting. Not everything in the game should be black or white. Setting up these scenarios can also create content for you simply by letting your players make their own decisions. Just don't overuse this or players will feel that every choice they make is too heavy for their shoulders. You don't want to scare them into being indecisive. 12) There is no need to try to kill your players. This is an extension of what I mentioned earlier with the fact that the game isn't the DM versus the group. Always remember that you don't need to try to kill your players. Bad players will kill themselves (and good players can make mistakes of course). It's really that simple. They'll do the work for you. There are a lot of tricks that you'll have to discover through experience that make something simple seem complex. The end result is something that you can implement easily without hassle that your players will think is elaborate. It's helpful to brainstorm how to make different aspects of the game less complex on your part and to utilize these tricks to make your job easier. I would give examples except everyone has their own preferences and styles. This will be something that comes with time based on what kind of Dungeon Master you are. 14) Learn to balance DM's discretion. A popular phrase in ye olden days was "DM's discretion". The idea is that the DM had final say on how things occurred. It was basically the contract that everyone agreed upon before starting a campaign. The DM is the primary storyteller and referee after all so they have to make the final call. I'd like to suggest that everyone expand this concept. D&D isn't a democracy but it's not a dictatorship either. You have to find a happy medium of letting the group decide together and the DM giving the final verdict. 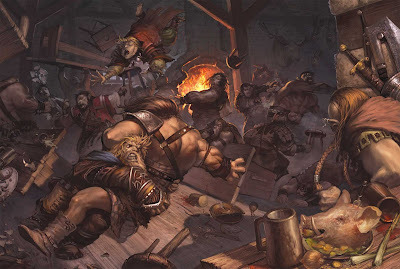 Combat is generally accepted to be a major component to most D&D campaigns. You may have a personal preference but you have to mix up what your players will be going up against or else you're likely to create headaches. For example, you shouldn't constantly throw intelligent enemies at your players that orchestrate elaborate plans or else you're pushing a single play style on them where brains over brawn is always more important. Not every player is going to enjoy that style of play and many may grow tired of it after awhile. 16) Don't let your players kill each other. 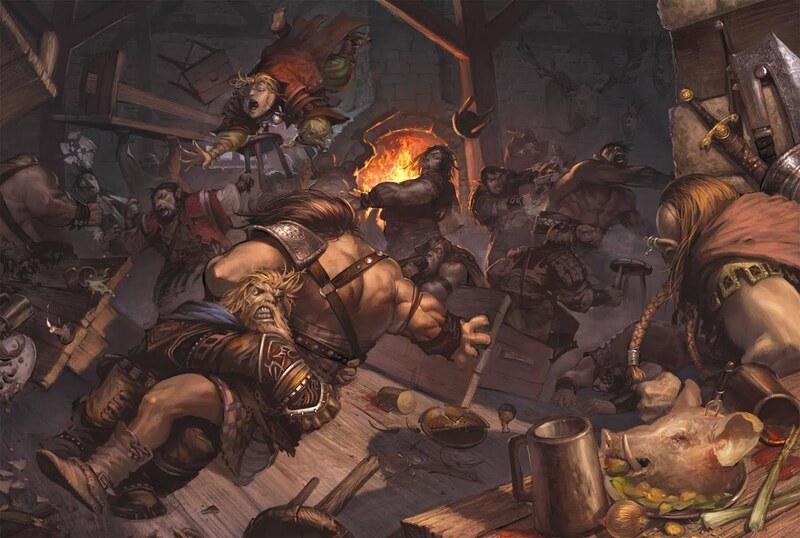 As much as some players love the concept of player killing, D&D isn't designed for it. D&D is a team game that requires a lot of trust. If they want to PK then point them toward an MMO. Players care about their characters that they've created and spent hours working on. Don't undermine the effort they've put into the game and their creations. 17) Don't be afraid to take a break. I'm not just talking about a major break to go grab dinner before everyone jumps back into the game again. Maybe you're right in the middle of combat and need to clear your head and grab some water. Go for it. This can give you a moment to think more clearly and relieve pressure or maybe even add something exciting or unexpected to the game. Don't get wrapped up in the pace of the game to where you're making poor decisions. 18) The best point to stop a session. It's a common habit for groups and Dungeon Masters to end a game session at a good stopping point. This is usually when something has just wrapped up or been completed. I'm going to suggest breaking that habit. End a session right at a cliffhanger. Something big is about to happen and it's already getting late? Go ahead and stop the session. This creates suspense and your players will be anticipating what's going to happen next and be talking about your game long after they've left the table. This expands upon mixing up combat. Don't forget the importance of variety in setting, goals, plot, and other aspects of the game. Don't overwork yourself on this but don't forget it either. Even campaigns that stick to a single theme are capable of an incredible variety of ideas. 20) Players make the game. Remember that even though you are the Dungeon Master (or Game Master if you prefer) by title, you are not the game itself. The players make the game and if you mistreat them, they will leave.